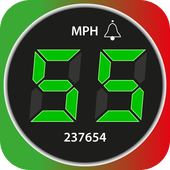 Blocoware iPhone and iPad Apps: Car's speedometer - does it tell you the true speed? Naked truth: Quite often speedometer in your car doesn't show you the actual speed. "Lord Whitty: The Road Vehicles (Construction and Use) Regulations 1986, as amended, allows the use of speedometers that meet the requirements of EC Community Directive 75/443(97/39) or ECE Regulation 39. Both the EC Directive and the ECE Regulation lay down accuracy requirements to be applied at the time of vehicle approval for speedometers. These requirements are that the indicated speed must not be more than 10 per cent of the true speed plus 4 km/h. In production, however, a slightly different tolerance of 5 per cent plus 10 km/h is applied. The requirements are also that the indicated speed must never be less than the true speed." Aren't those guys awesome at keeping us safe from wrongly curved bananas/cucumbers and reckless speeding?! any other country where law forces manufacturers to "lie" about the speed. Can you be sure your car's speedometer is right? NO! You never actually know what is the right size of the "stock" tyres for your car. In reality, you can pick from few options for it. 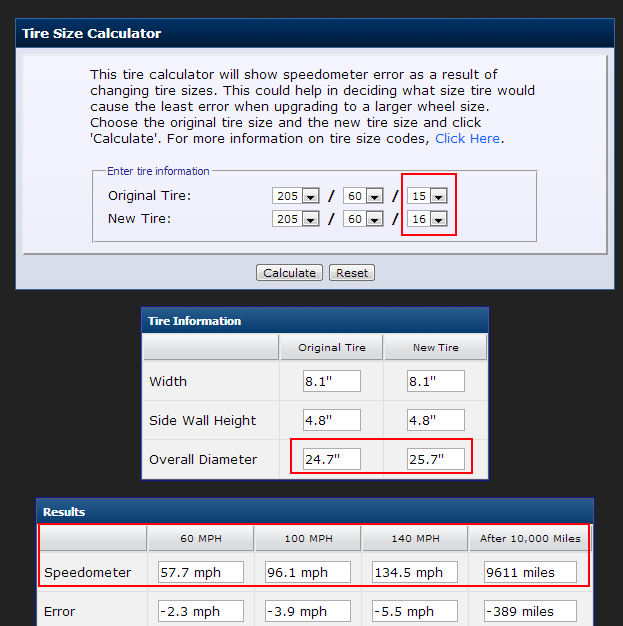 It might be good to know what tire size manufacturer calibrated the speedometer for, but this is rarely possible. We can see that speedometer showing 60mph with R15 tyres will show 57.7 mph with R16 tyres. And was it right showing 60mph with R15? You don't know, unless you TEST it! How to test my speedometer and know how much OFF it is? 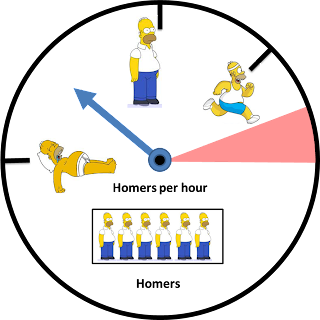 The easiest option of all is to use another, GPS way of measurement. Almost everyone nowadays has a GPS navigation or there are iPhone/iPad or Android apps showing you the speed based on GPS. For iPhones and cellular iPads you can grab our FREE app. Just beware that non-cellular iPads don't have a GPS module, same is true for iPods. For better results be sure to achieve some constant cruising speed before you compare. Also try on few speeds, lets say those 30 and 60 mph at least to see if difference is proportionally the same on different speeds or not. Mark the GPS speedometer readings against your car's speedometer. We believe that knowing that difference helps you make more educated decisions while you drive, making your driving safer.